Dark Double-Shred Mulch – APLS, Inc. Dark Double-Shred mulch, also known as “Dark Premium Shred”, is the most popular of the mulches in Western PA. It has an all-natural dark brown color, a consistent fine texture, and a superior ability to suppress weeds. 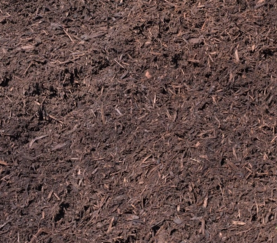 Dark Double-Shred mulch, also known as “Dark Premium Shred”, is the most popular of the mulches in Western PA. This can be attributed to its all-natural dark brown color, its consistent fine texture, and its superior ability to suppress weeds. As with all of our landscaping materials, Dark Double Shred does not attract insects or harbor mold*. *In very rare circumstances, airborne mold spores can settle and grow upon the mulch. Mulch Burning: Though this condition is extremely rare, it does warrant recognition. Any natural mulch can develop a condition that can cause burning of surrounding plants or grasses. It has been our experience that this condition is more likely to occur on very hot summer days. During the mulch aging process, tanic acid can develop due to a chemical imbalance. This condition is, at best, difficult to predict. A pile of mulch can develop the condition and then recover within the same week. Most years, there are no reports of this condition. Other years, there will be 2-4 reports out of the thousands of loads we sell. We recommend letting the mulch sit for 2-4 days before spreading to let the condition subside. When spreading, keep the mulch several inches away from grass, annuals, and sensitive perennials. Keep mulch away from the stems of the plants (this is always recommended any time you mulch). Do NOT immediately water the mulch or plants. This can intensify the burning effect. We recommend waiting 24 hours before watering.